Focus on fewer goals – we often make the mistake that we want to change everything at once. And whilst there might be lots of things we want to achieve and change, we cannot do everything overnight. Pick a couple to really give your all to each month or each quarter. Once they’re engrained in your life, you can look at picking up more. Break down bigger goals into smaller ones – our passion for our new year or life goals can slowly morph into overwhelm when we realise how long the road ahead is. That’s why we should set short rest stops along the way. Set weekly, monthly, quarterly milestones to give your journey more direction and make it more enjoyable. Find your why – goals are nothing without the drive behind them. Make sure you’re setting goals that actually mean something to you and that you’re setting them for the right reasons. Create a vision board, even digitally on Pinterest, to remind yourself of your intentions and to push you when you need it. Keep track of your progress – motivate yourself by tracking your habits and progress across the month. I like to note down what I’ve achieved and what habits I’ve stuck to everyday in a journal. Improve your accountability – tell a friend about your goals to help you stay accountable and get support when you need it. Plan out when you’re going to commit time to achieving your goals each week. Be realistic, but you have to make the time and stick to your schedule. Have courage and be kind. Who would have thought something to simple could be so powerful. Ella promises to follow these last words from her mother in a recent adaptation of Cinderella. In 2018, I’m going to follow them too. Having courage is about believing in yourself and lifting yourself up, not being weighed down by the opinions of others, but pursuing your own passions and ambitions, dreams and inklings, ideas and paths. And being kind is about staying grounded throughout, by not forgetting where you come from, and being grateful for all that surrounds you – most especially those around you, from stranger to loved one. With a bit more courage and kindness, life can only be better. I’ll definitely be keeping these words close in 2018. Sometimes the most important person to congratulate you, to celebrate you, to thank you is yourself. 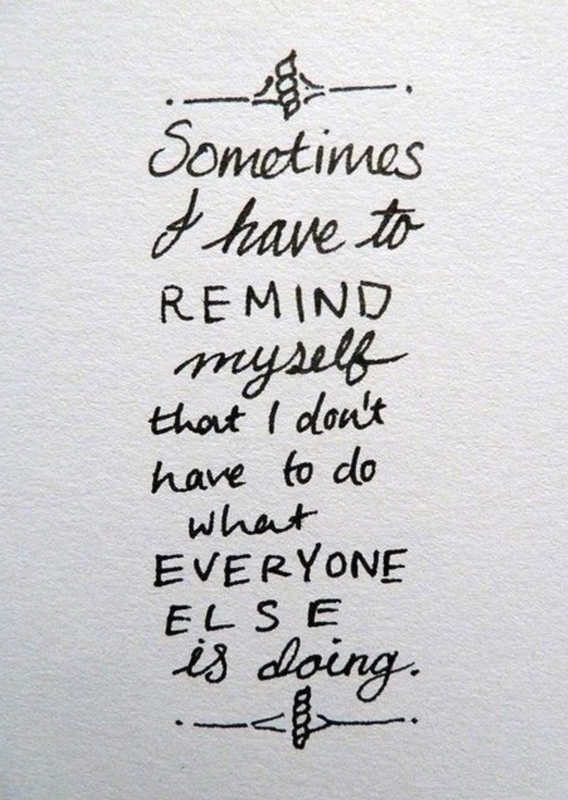 Sometimes we’ll be the only person who will. And that isn’t because our achievement isn’t worth recognising – it’s just how the world works sometimes. So give yourself a high five. Give yourself a pat on the back. 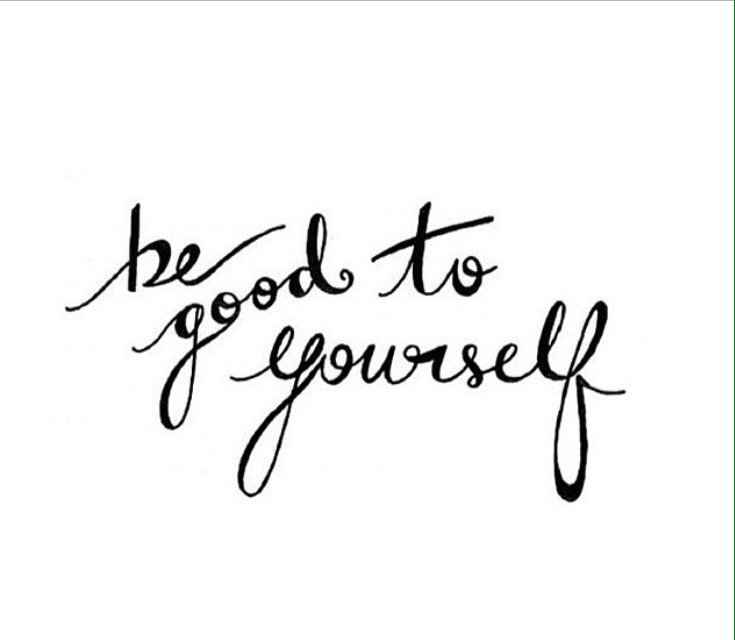 Treat yourself and thank yourself. You’ve done something amazing, however small, and you deserve to acknowledge it. Those small achievements will all sit in our back pocket, and serve as encouragement for our next feat. If we want to achieve and succeed, we should stop looking around for someone else to give us the instructions, the expectations and the answers. Sure, there are useful tips and tricks that we can learn from others; we can ask questions, seek advice, observe them. But we shouldn’t be trying to be a replica of them, because all we’ll end up becoming is a shadow. We have our own gifts to offer and talents to share. We can create our own rules, build our own set of expectations, and find our own answers to our own problems. We don’t need to follow in someone else’s path. We don’t need to compare our journey to anyone else’s. We don’t need to do what everyone else is doing. Whilst a new year is a wonderful way to mark a new beginning, it can be easy to forget that our future starts in every present moment. As we move forward with our dreams and goals, we should hold onto that. If you find yourself driven off course, turn the steering wheel and push the accelerator. If you find yourself falling backwards, pick yourself up. Our obstacles and mistakes shouldn’t mean we give up. In the end, we’re only on one journey: our life. Don’t waste time waiting for the next best time to start again, and don’t waste time doubting yourself. Because time isn’t stopping. Keep going. Our future is in our own hands right now. Don’t waste the time you have left. Believe in yourself. Sometimes it’s the hardest part. But you shouldn’t need someone to convince you. Be your most devoted admirer. Be your most enthusiastic cheerleader. Be your own hero. Because you deserve all the joy and love and success you wish for. And much of what stands in your way is yourself. We doubt our abilities and our visions. But you can do anything. We all can. 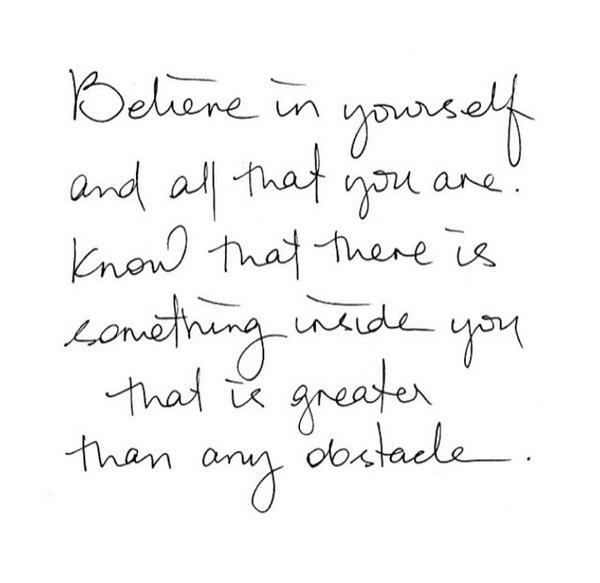 Know that there is something inside you that is greater than any obstacle. Come out from the shadows your hiding in. And let yourself shine. 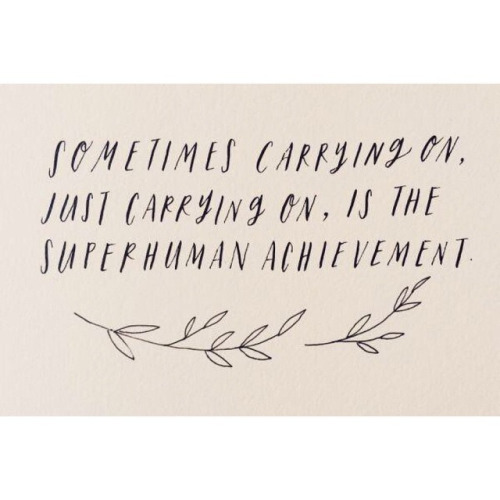 Sometimes carrying on, just carrying on, is the superhuman achievement ~ Albert Camus.